There’s no perfect strategy when it comes to winning on the pokies, but there are some handy tips that will make it more likely that you will win. We’ve got the best tips for increasing your chances and have compiled them here for you to access easily and potentially win big on the slots. The Return to Player is a term used to detail the percentage a poker machine will payout to players. 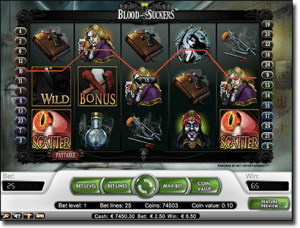 For example, if a slot has a 93% RTP, then it will return 93% of what is gambled. The RTP can also detail the house edge, as the difference in percentages between the RTP and 100% is the house edge, so in this example it is 7% – quite high when you can get the house edge of an online blackjack title down to 0.44%. (using basic strategy of course). But we are slot players, and while we can’t get a poker machine with this house edge, we can get close. Land-based pokies have a lower RTP percentage, generally set at around 87%, or 85% in QLD, while online pokies are set at anywhere from 90% and higher. This is why we recommend always opting for online slots over those at land-based venues. While there are no pokies with a 100% RTP, there are those that can get quite close, and these are the pokies we recommend playing if you want to improve your chances of winning. Some poker machines rely on the maximum bet to payout big, including a lot of progressives. 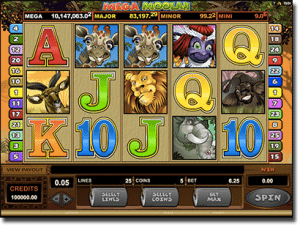 Some maximum bets can be quite large and use up your bankroll fast, so if you aren’t a high roller you need to figure out whether the slot machine is going to payout what you came to potentially win for any wager, not just the maximum one. It is important to note that playing the maximum bet doesn’t mean you will win, it just means you will win more when you do, but the best bet is to find slots with a lower max bet limit or those that will payout without the max bet in play. Online casinos put on great promotions, especially matched deposits and free spins, but you need to decide if they are worth it for you. For example, if you take advantage of a free spins promotion and then win on the pokies, you may have to wager these winnings a certain number of times before they can be released. This could ultimately see you lose your winnings. Or if you opt in for matched deposits and are in the middle of completing the wagering requirements attached to the bonus money on the pokies but win here, the winnings aren’t really counted – they just become bonus money that needs to be wagered a certain number of times before being released, too. These bonuses aren’t good for players who want to jump online, aim for a win, and then cash any winnings out straight away. If you are planning on becoming a regular, then you may want to consider opting in for the promotion, but we recommend reading the terms and conditions attached so you can decide if it is worth it, in association to the type of player you are. While this isn’t exactly a tip in terms of how to win the pokies, it will help winners in the long term. If you play at a rogue online casino and win on the pokies your winnings have the potential of being confiscated from you, your account could be, or the casino itself could disappear – and unfortunately there is nothing you can do about it. But if you play at a safe casino, not only will these scenarios not occur, if you do have an issue they will support you, while third parties that govern these sites can even step in to help resolve it. We have also included the payout rate of each casino so you can get a better understanding of where you are most likely to win.